Zeelander Yachts moved into its new assembly hall in the Netherlands in January 2017. All new Zeelanders are now outfitted in this state-of-the-art facility, which is fully owned by Zeelander Yachts. Having laid the foundations for our success in various locations since 2002, this superb new yard in Groot-Ammers will enable us to even better meet owner requirements when it comes to personalising their Zeelander. The Netherlands has a unique heritage as a sailing nation which dates back centuries. Dutch yacht builders are recognised as the best in the world when it comes to quality. Premium yachts built in the Netherlands are a byword for solidity, reliability, comfort and the finest performance and sailing characteristics. Add in the specific attributes of Zeelander design expertise and first-class craftsmanship and you have a genuine piece of art on the water. At the heart of the new Zeelander facility is our dedicated showroom, a place where bespoke personalisation comes to life. Here you will find a variety of carefully composed mood boards which serve as inspiration. You can of course make your own mood board by compiling the materials such as leather, upholstery, wood, stone/marble and paint colours. Our extensive and second-to-none interior customisation programme allows you to create a Zeelander interior which perfectly matches your lifestyle on the water. 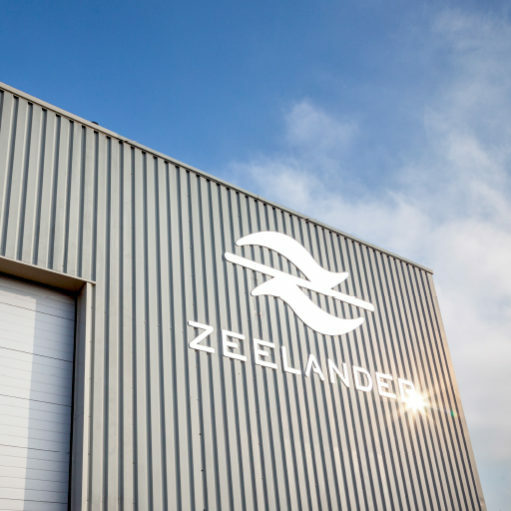 You are welcome to visit the new Zeelander yard to see and feel Zeelander quality for yourself.